I greatly enjoyed the curation of the retrospective of local artist, Emily Floyd’s work at Heide Gallery. 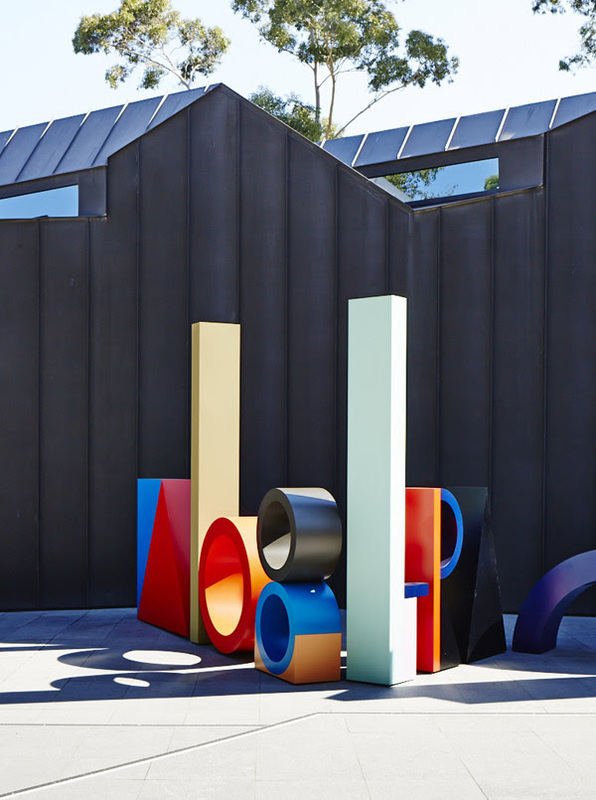 A new outdoor sculpture commission in the forecourt introduces her graphic, optimistic work and the way in which the walls of the gallery were painted, with the objects and prints placed carefully in response, was really stimulating and fresh. I enjoyed a day at the gallery with friends, David Micklem from London, Johanna Tuukkanen from Finland and Sarah Greentree from round these parts. We had lunch, visited all three galleries and the sculpture park and indulged in the unexpected pleasures of this suburban sanctuary. The Design Files interview with Floyd that arrived in my inbox today added some wonderful extra information to the experience.